Successfully Added 2Din Motorized Wide 6.5-inch TFT Monitor, 16:9 Touch Screen to your Shopping Cart. This wholesale product is able to read DVD / VCD / CD / MP3 / CD -R / CD-RW / DVD-5 / DVD-9 / DVD-18/ DVD-R/ DVD+R/ DVD-RW / DVD+RW disc. Built-in FM/AM radio and TV tuner. 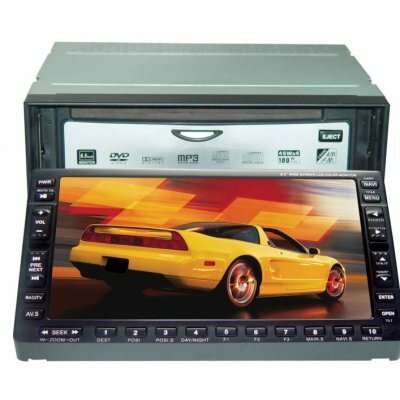 2 Din motorized wide 6.5 inch TFT monitor with touch screen and has slide panel. It is amusing to operate it with remote control..